The JCH offers social services to Holocaust survivors who are eligible for or current recipients of Hardship Fund, Article 2 and/or other compensation from the German or Austrian governments. This program is funded by the Conference on Jewish Material Claims Against Germany. 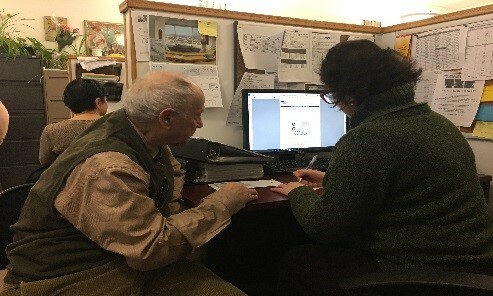 We provide free counsel on a wide array of financial, legal and personal issues, including government benefits such as Medicaid & Medicare, Social Security, the Home Energy Assistance Program; food assistance programs; housing programs and applications; and referrals to the New York Legal Assistance Group and Legal Services NYC. We also share information on activities and events relating to Holocaust survivors and provide help with services such as home care, including handyman services; health care; and emergency cash assistance funded by the Claims Conference.